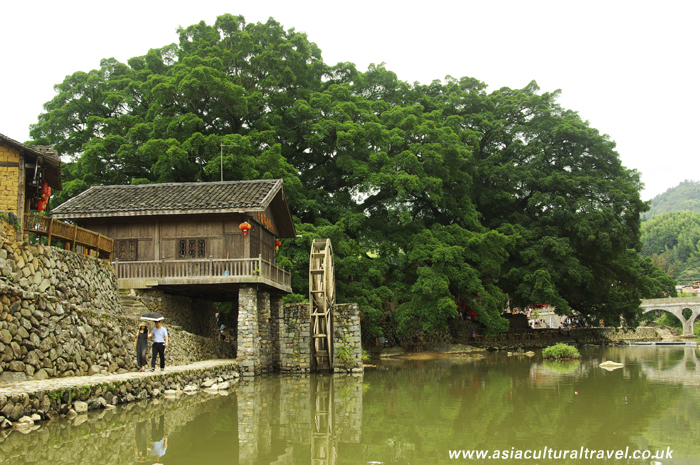 Located in the south of Fujian province, Yunshuiyao is a peaceful and beautiful village with hundreds of years of history behind it, particularly with reference to the Jian clan. It is reminiscent of the legendary “Shangri-la” in its appearance and atmosphere. Most of the buildings in the village are clay houses that were built during the Qing Dynasty (1644-1911), including a big Ancestral Hall for the Jian family. There are several banyan trees on the riverside that are hundreds of years old. One of them is the biggest banyan tree in Fujian Province and has branches that are more than 30 meters long. Huiyuan lou was built in 1909 and is a typical example of a Tulou that follows the “connected rooms” design. 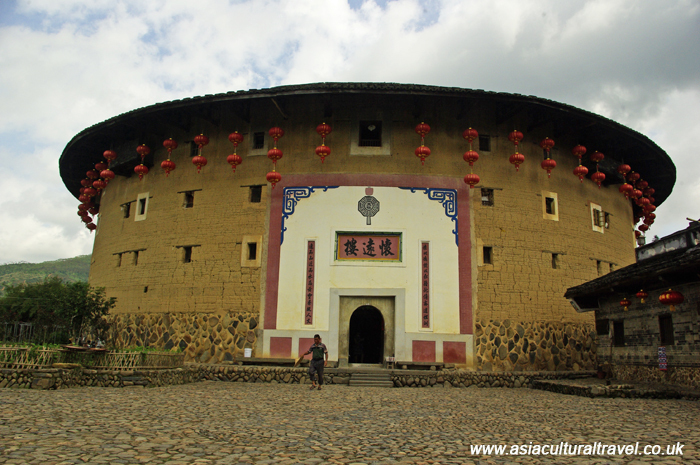 Because of its short history, the whole building is well preserved and thus serves as a good example of what a circular Tulou should look like. Huaiyuan lou is four storeys high and has a diameter of 38 meters. Each of its floors has 34 rooms. Nowadays there are still 60 people living inside this Tulou. Hegui lou is a very typical rectangular Tulou. It was built in 1732 and follows the “connected rooms” design. Hegui lou was originally four-storeys high. 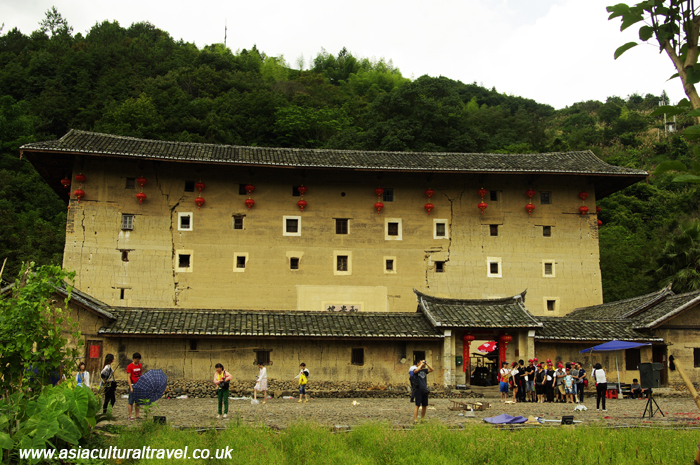 In 1864 it was destroyed by robbers during an attack, and it was subsequently rebuilt as a five-storey Tulou. The main structure of the new compound follows that of a rectangular Tulou and it has 24 rooms on each of its five floors. A hall in the yard is connected to the Ancestral Hall in the main building. There is also now a front yard to provide more space for residents.